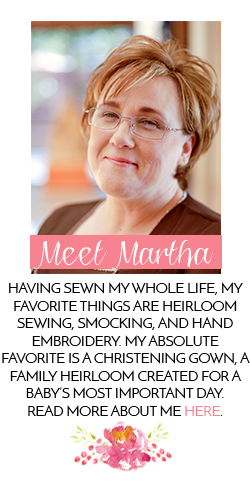 Southern Matriarch: And the winner is! 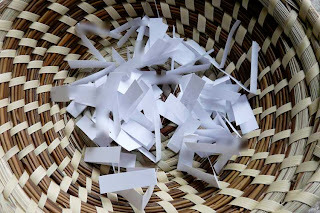 Well the entries have been collected and are nesting cozy like in their little sweet grass basket. Baby daughter got way into this. She wanted you to see that she "stirred the pot" so to speak. Congrats to Shirley C! Shirley email me with your full name and address so I can get your sweet hangers to you. Thank you everyone for playing, I was so impressed with all of the projects that you told me you were working on. 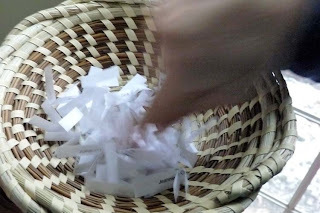 There were even a couple of new mommy-to-be s who were working on things for their own babies and a couple of christening gowns in the works. And we all know how I feel about that. Hi. I thanked you for your suggestion about the way to put holes in the flannel blanket for crocheting, but in case you don't go back over to the blog and see it, is this a wing needle, or are there larger ones? Your work is so beautiful that I hate you had to see my sad things. I'm working on getting better at techniques now and slowing down and trying to do things the right way. Anyway, it's fun! I can't stop thinking about that duckie fabric! 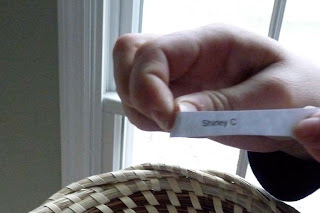 Congratulations to the winner, Shirley! Thank you so much. Would you email me and I'll send you my address? I don't do outlook express. I'm so excited. I never win anything.